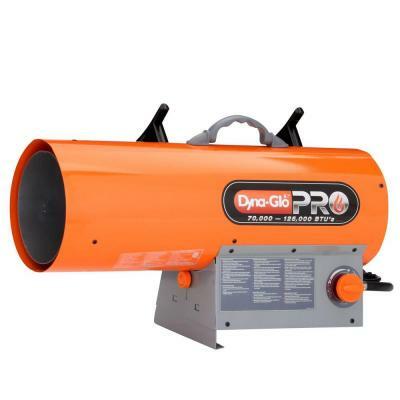 Dyna-Glo Pro portable gas forced air heaters offer a quick fire continuous spark ignition systems, coupled with adjustable height controls to insure you get the heat you need, when you need it, and where you want it. Fueled by liquid propane, this unit heats up to 3,100 sq. ft. 10 ft. Hose and regulator assembly are included (LP tank sold separately). Heats up to 3,100 sq. ft.